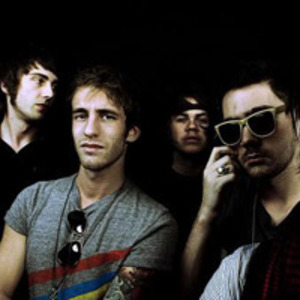 Elevation, the Atlanta-based rock band, consists of members Nathan Smith (Vocals), Andrew Averso (Lead Guitar), Stephen Bailey (Drums), Matt Perez (Bass), and Luke Hickok (Guitar). Elevation (real name Michael Targanski) learned how to play the piano and the organ at a very young age. After buying some dj equipment in 2001, making Armin van Buuren and DJ Ti?sto inspired tunes in 2002 and doing a major upgrade to his producing equipment in 2003, he later that year submitted his tune Clear Blue Sky to the progressive trance master Markus Schulz. Elevation's breakthrough was in 2004 as the tune was released as Clear Blue on Armin van Buuren's label, Electronic elements. Elevation were a short lived rock trio formed by former 3 Colours Red vocalist/bassist Pete Vuckovic and drummer Keith Baxter after the band split in 1999. Similar in style to 3CR, with a slightly more electronic feel, they only released one single before 3CR reformed. Existed in the 1990s, including Jim Sinclair (Pangaea), Mike Hall, Chris Bosley, Dave Atkins (Resin Dogs) and Katch. Musically somewhere between Regurgitator and Resin Dogs, though with an accent more on the dub than the rock. Their two albums were "Whoever wants to be born must destroy a world" (1995) and "Indian Root Pills" (1997).